flip a coin. if heads, your opponent's active Pokémon is now paralysed. 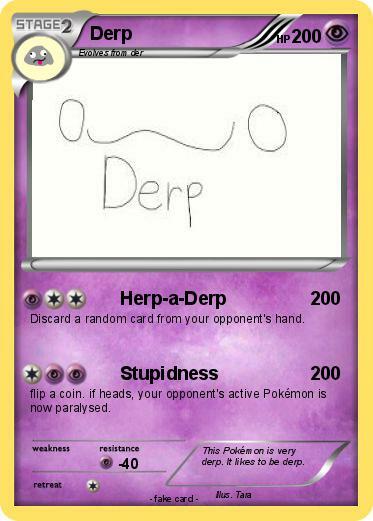 Comments : This Pokémon is very derp. It likes to be derp.